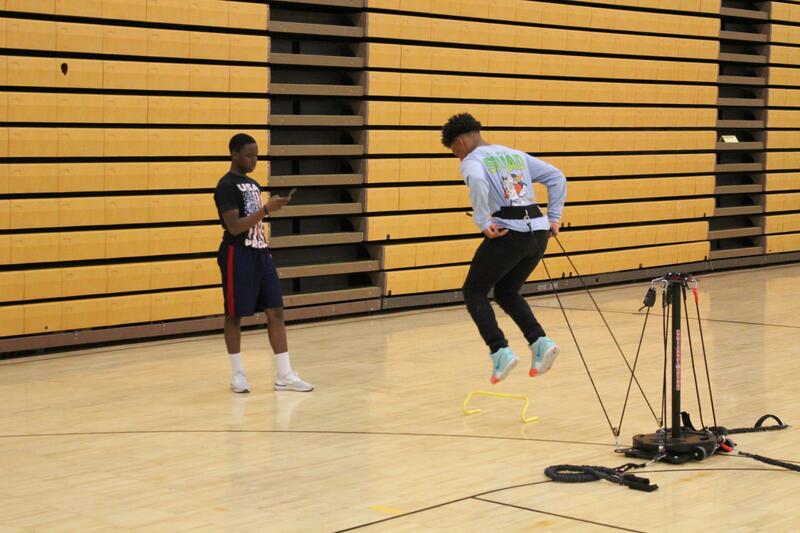 Students in Health and Physical Education classes at Brush High School took a break from the normal classroom routine to participate in the 2019 SWAG™ (Something We Athletes Got) Challenge inside Welser Gymnasium on Thursday, April 4, 2019. 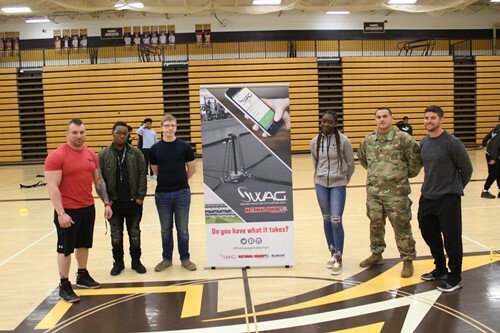 Designed to improve athletic performance and promote physical fitness, the SWAG™ Challenge is provided to high schools nationwide in partnership with The National Guard, SpeedTracs, and Blue Chip Athletic Solutions, a premier recruitment platform for collegiate and professional sports. The presentation began with a demonstration of four exercise stations involving strength and agility, specifically, hurdle hops, donkey kicks, chest press and sprint back pedal exercises. While completing each station, students had the opportunity to enter and track both their individual performance, as well as view how fellow peers performed, on a free mobile app created by Blue Chip Athletic Solutions. In addition, a representative from the Ohio National Guard was in attendance to provide information on the many career and educational opportunities available through serving our country. Thank-you to all participating sponsors for helping to promote the importance of a healthy and active lifestyle for our students.